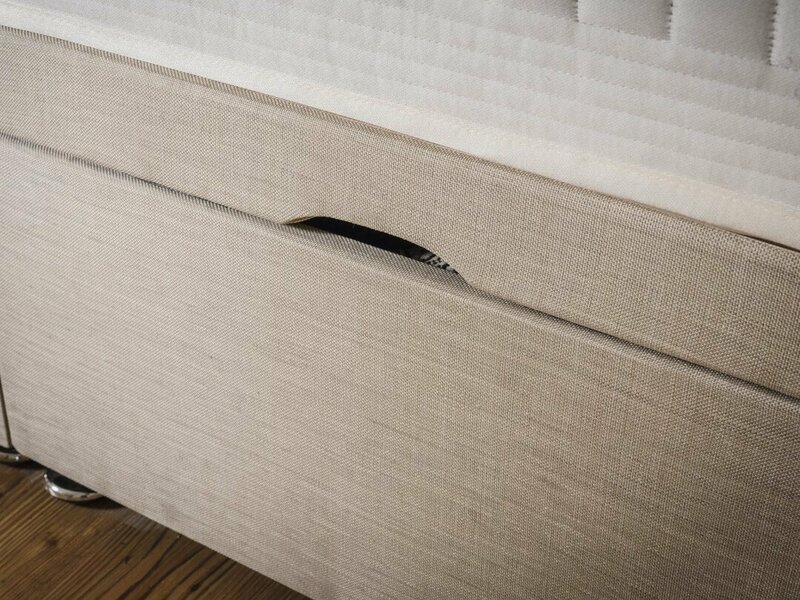 Our convenient Ottoman Divan Base is available in a wide range of fabrics. 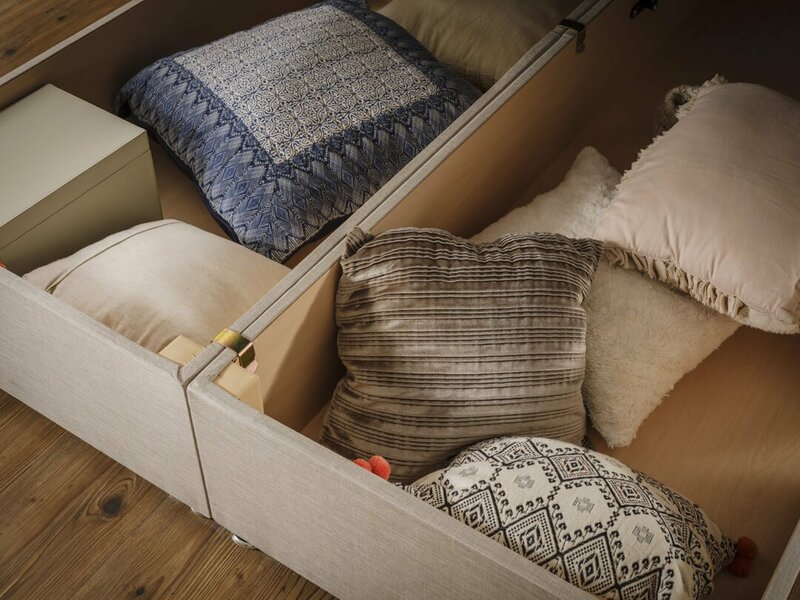 The Ottoman Divan Base provides you with a substantial amount of storage space and is perfect for when space is limited. 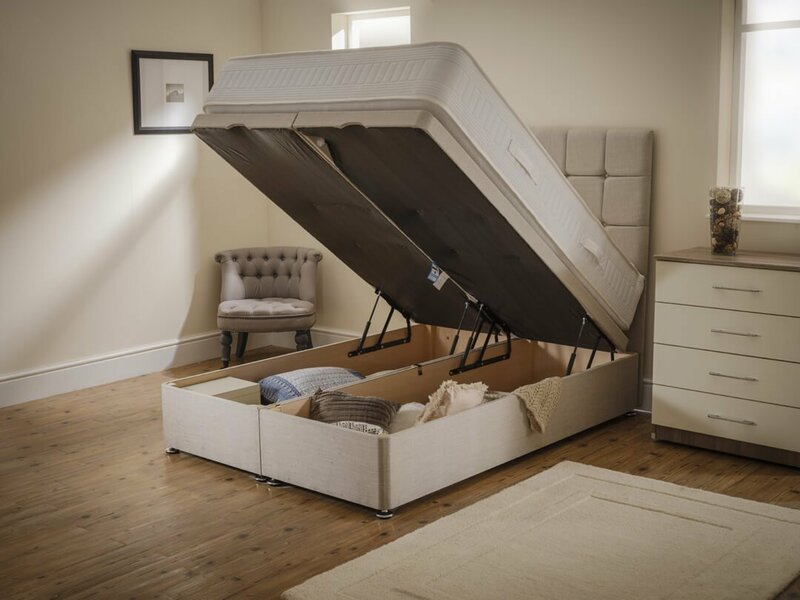 The hydraulic arms ensure the bed lifts up easily to reveal a large storage space underneath. 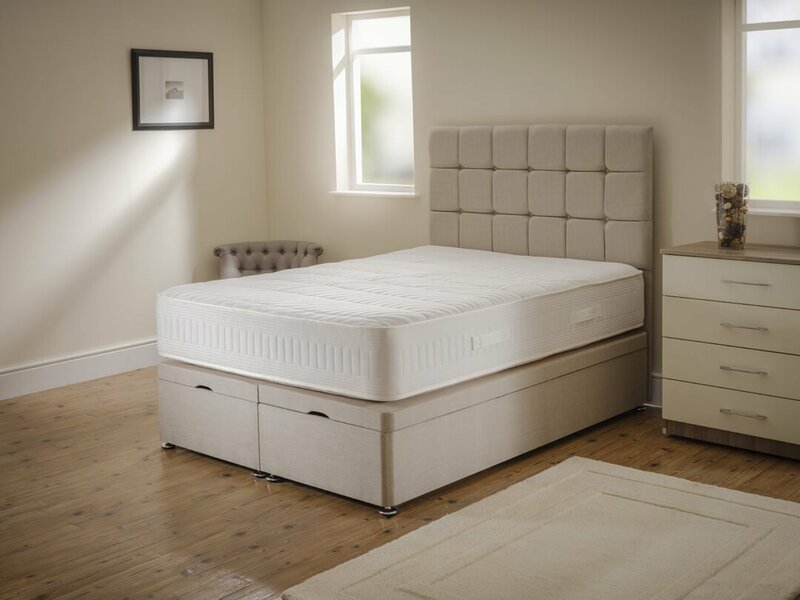 The top of the ottoman has a rubberised grip fabric to ensure the mattress does not slip. The depth of the storage section is 25cm. The ottoman is available in either an end lift or a side lift opening option.